It's been 18 months in the making, but finally, a finished product to share with you all. 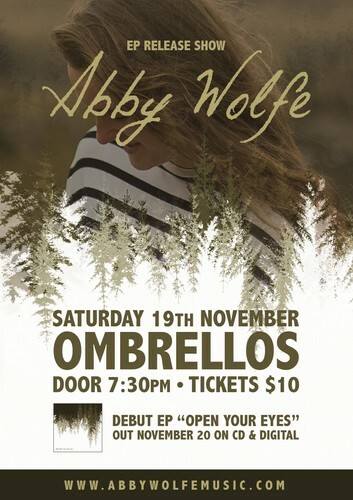 It is with great pleasure I present the "Open Your Eyes" EP release show at Ombrellos, Dunedin. Come share a drink and listen to old and new songs, I'd love to see you there! Tickets are only $10 on the door. Jarni Blair will be kicking off the night so come early and enjoy a quality Dunedin artist.